Costa Dorada is a new and exciting golf destination just one hour south of Barcelona. There are 7 excellent golf courses together with a good variety of accommodation, making Costa Dorada golf holidays an ideal destination. The climate is good during most of the year and the rates are very competitive for Spain golf holidays. 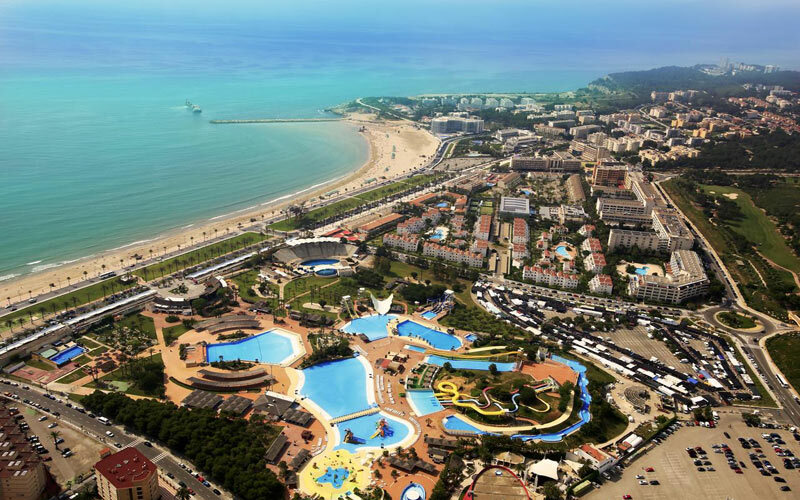 The 4* Villa Romana is situated close to the PortAventura theme park and the resort’s main promenade and Salou’s beach are both within a short walk away. 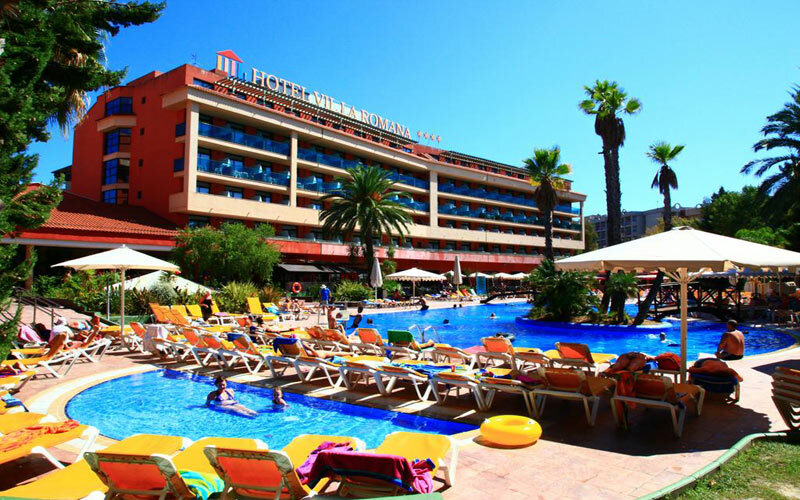 The hotel offers international cuisine and has a number of swimming pools and Jacuzzis. Playing Lumine Hills or Lakes, and a choice of Bonmont, Costa Dorada or Aiguesverds. 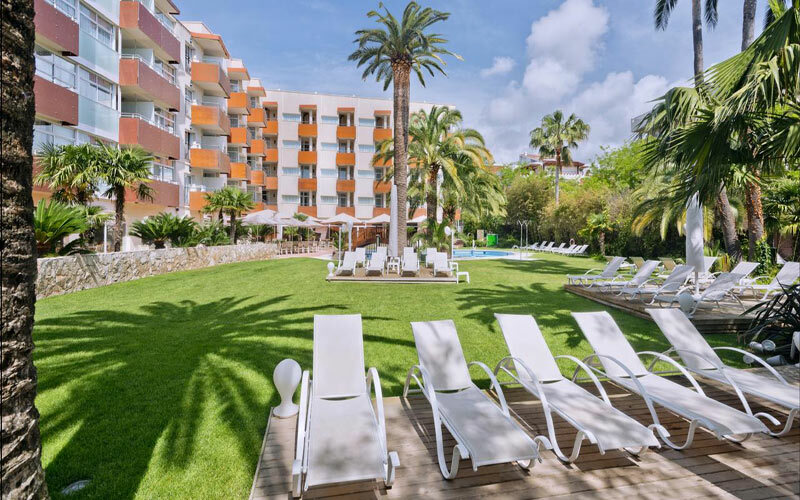 The 4* Hotel Monica is right in the heart of the town of Cambrils and a stones throw from the beach and town centre; set in one of the loveliest areas on the Costa Dorada. The grounds are very well kept, the service is superb and the food is delicious. Playing Lumine Hills or Lakes, and a choice of Bonmont, Costa Dorada, Aiguesverds, La Graiera or Panoramica. 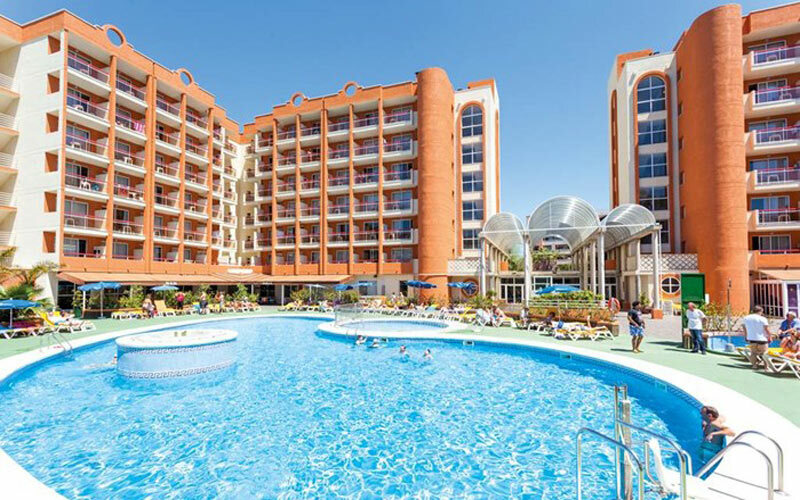 The 3* Hotel Belvedere enjoys an ideal location in Salou. The beach is easily accessible within a 10 minute walk, as is the local promenade with a host of shops, bars and restaurants. The hotel offers an international buffet restaurant, and a poolside snack bar.